Today, Mobile devices are becoming more popular than desktops as the number of mobile users are increasing day by day. So the highlight is how to cater the need of mobile users in order to provide seamless mobile user experience. First thing to do is to change our traditional approach towards the information architecture for mobile devices. As compared to a desktop, a mobile information architecture is different as it depends on the mobile’s physical dimensions and capabilities. Also the way people interact with mobile device changes from device to device. For example, the tablet is generally significantly bigger than smartphone and prevent heavy mobility usage. While the smartphone is supposed to be with you almost all the time, in a pocket. When you are on the move, a smartphone might be preferable as it fits in a pocket or lighter to carry. In the opposite, if you have a lot of informations to look at you will prefer a bigger screen i.e tablet. The information architecture (IA) for desktops has become common practice but for mobile there is still a long way to go as it is not yet established as common discipline. Although mobile information architecture is hardly a discipline today, it certainly ought to be because of its differences from desktops. Following figure 1 shows how a typical news website is shown in desktop and mobile browser.Here we see the mobile website is just ported from desktop to make it work on a mobile browser. However, this approach is not useful in case of mobile devices because of its physical dimensions & capabilities. The IA should be differently organized to cater mobile needs. The role of a mobile information architect would be to interpret the website content to the mobile context. Do you use the same structure or sections as in desktop website? Do you present the same information above the fold? If so, how should that be prioritized? How does the user navigate to other areas? Do you use the same visual and interaction paradigms, or invent new ones? And if you do start to invent new paradigms, will you lose the visual characteristics of what users expect? As we see in Figure 2 there are many ways that the news website has been interpreted in the mobile browser. Figure 2. Many interpretations for the news website in mobile browser. But we are only beginning to scratch the surface. We also need to organize our mobile information architecture to address the mobile device context and capabilities. For example, the news website could show headlines based on user’s location to make it more contextual & utilize mobile devices capabilities. 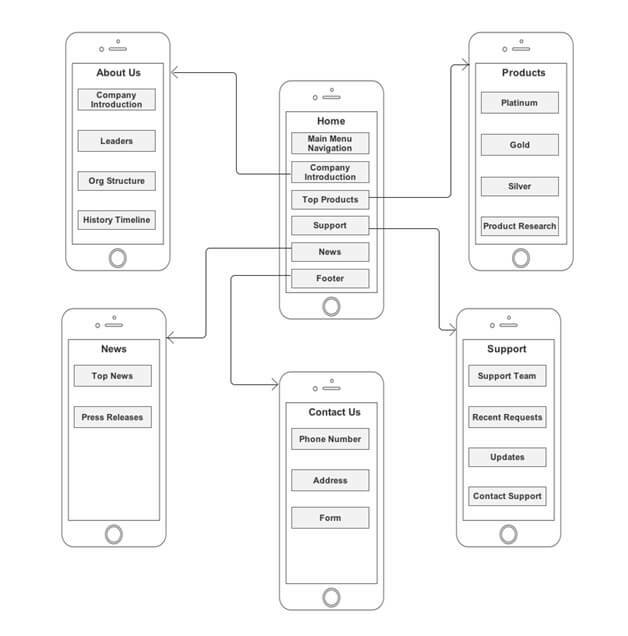 The first deliverable we use to define mobile information architecture is the site map. They visually represent the relationship of content to other content and provide a map for how the user will travel through the informational space, as shown in Figure 3. Mobile site maps are not that dissimilar from desktops. But there are a few things specific to mobile that we need to consider while creating mobile site map. Take an example of a typical ecommerce website, generally there are 5-10 main navigation sections which helps user to navigate through the website. If a user goes to wrong section, he can simply click back & goes to another section. The risks for making the wrong choice are minor. But in mobile, we cannot make this assumption. In the mobile context, tasks are short and users have limited time to perform them. In mobile websites, we can’t assume reliable network bandwidth that allows user to quickly go back in case of a wrong choice. Therefore, the solution is to offer only what is absolutely required on mobile devices to minimize the risk of wrong choices. 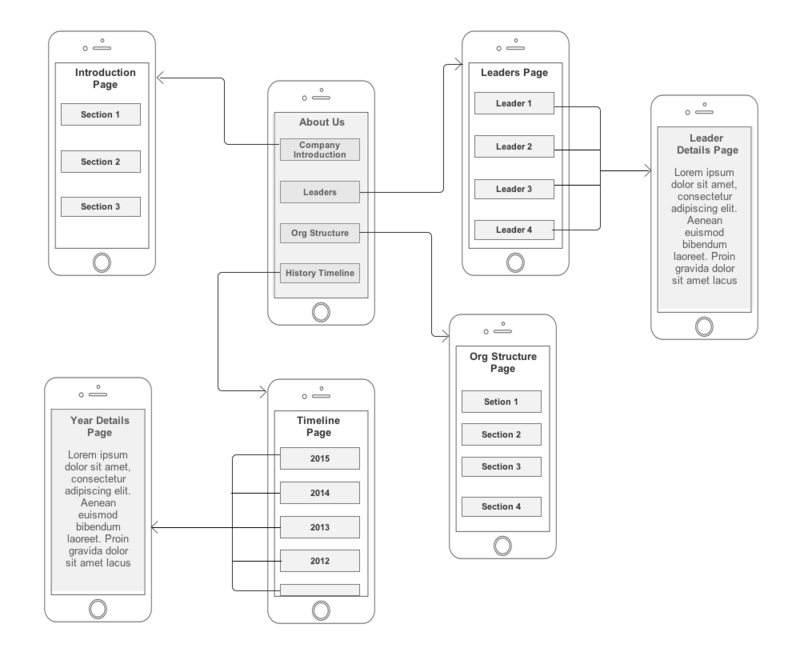 In Figure 4, you can see a poorly designed mobile information architecture that too closely mimics its desktop cousin; it was not designed with the mobile user in mind. Now, in figure 5, we see an optimized site map for a mobile website which is created with the mobile user in mind. Here, each page in site map shows first few important items of the page which helps us to quickly present what type of content the user can expect from each page. We can even go deeper by simply taking one page at a time and showing its entire clickpath journey which user may performs. Figure 6 shows clickpath journey for About Us page. Respect the user’s time and attention. Give less choices-no long menus, no long options, no long pages. Maximum 10 links on a page. Navigation should be drill down, and contextual. Customize navigation according to the page. No more than 5 levels of drilling down. No pages with just links to drill down further. Make sure each page has valuable content. Even the homepage should have actionable content. Prioritize links and content. What’s more important goes to the top. Always provide a way to exit to home, and a step back in each page. 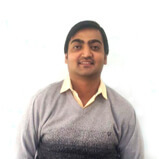 Dhiraj is a Sr. UX Analyst at Mobisoft Infotech. He has passion for providing simple solutions to complex problems and actively plays the role of user advocate throughout the project life cycle. He is also a passionate Blogger & Tech. enthusiast. His hobbies include exploring new places & trekking. The post Mobile Information Architecture appeared first on Mobisoft.